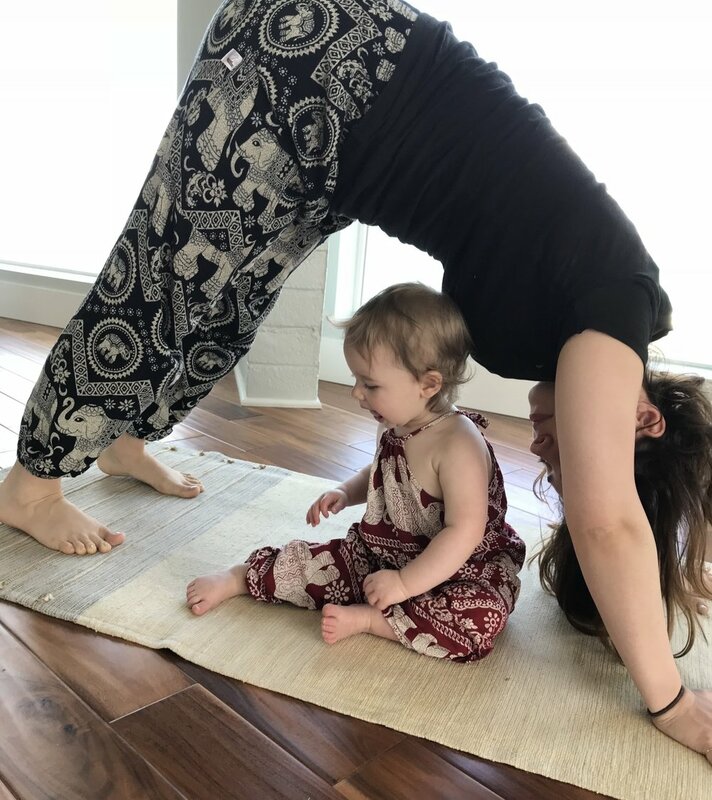 Sharing yoga with your beloved baby, listening and honoring your body, while taking in the many gifts of yoga, allows for a deeper sense of connection with baby and preparedness for labor. Our Prenatal Yoga classes are open to all levels and taught in a peaceful and calm environment, to support women in their journey of pregnancy. Each class provides postures that aid in, as well as often preventing the common ailments one may experience during pregnancy. Our instructors are highly skilled and trained to support you along the journey, and to create a platform focusing on breath awareness alongside yoga postures that support spaciousness in breath, body and mind. Gentle yoga poses help both parent & baby to connect with breath, strength, and energy while deepening a sense of well being. The class is gentle, safe and individualized to meet your and your baby's needs. Please join us for the 2019 Spring Series! Our kids yoga classes bring creativity, consciousness, and community together. Developing a yoga practice is the perfect way to ensure that kids and young adults maintain healthy life habits that can serve them as scheduling demands increase, social pressures build, and life stressors become more prevalent. Our kids classes promote inner strength, body awareness, concentration, confidence, self-esteem, a feeling of well-being, respect for others, and love for one's self, inside and out. This yoga class brings song, story, and games together to create a dynamic and fun sharing environment. Each class builds on the next around each student’s curiosities as they learn yoga through social interaction, repetition, and play. Kids will also learn how to relieve frustration, improve motor skills, and increase attention span by actively following directions. Help your kids build the foundation for a healthy and fit lifestyle while having fun! For a convenient start to your first class, please register below. This yoga class provides an opportunity for pre and early teens to further their mental and physical capacity through breath exercises, yoga postures, balancing, and meditation. The mind-body benefits of yoga can help Tween and Teens concentrate, regulate their emotions and cooperate with others, all while being physically active and having fun!